To your firewall, Bigleaf looks like an open, public internet connection. To install Bigleaf, all you do is update your firewall’s WAN IP address to the public IPs provided by Bigleaf — no compromises to your security or compliance. Once that’s done, you may need to update IP addresses used by any site-to-site VPNs, and any DNS pointing at your WAN IPs. 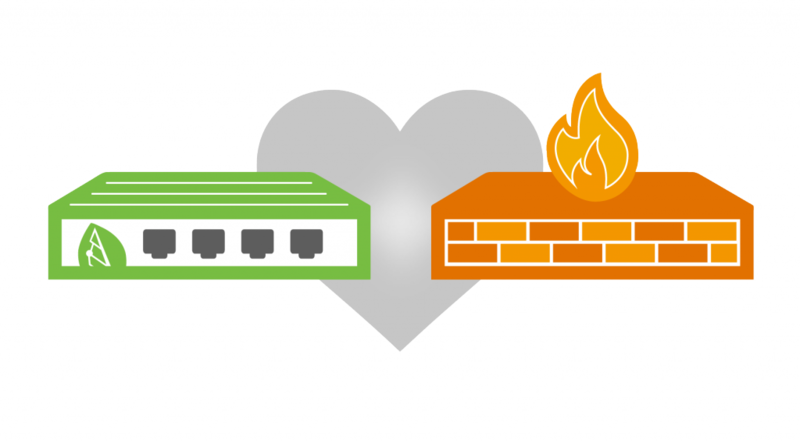 Since Bigleaf doesn’t NAT or proxy your traffic, you retain total firewall control. We designed Bigleaf’s SD-WAN to work with all your firewall’s features, unlike many solutions that require you to disable specific features in your firewall and hand them over to the SD-WAN device. That means you can enjoy the performance and reliability of SD-WAN with the certainty and reliability of your existing security solution. Bigleaf optimizes VPN tunnel traffic to improve stability and performance. Bigleaf will ensure the VPN rides the most stable ISP connection. Bigleaf will also fail-over VPN tunnels when necessary (during both full outages and brownouts) without dropping the VPN session and prioritize critical traffic within the VPN tunnels, through coordinated packet marking.